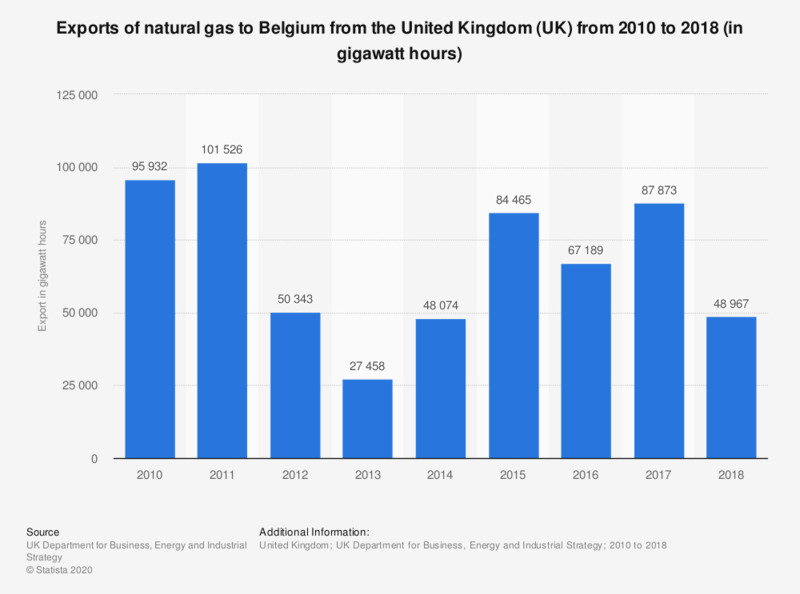 This statistic shows the exports of natural gas to Belgium from the United Kingdom (UK) from 2010 to 2017, in gigawatt hours. The amount of natural gas exported increased initially in 2011 to 101,526 gigawatt hours. In the following two years however, the exports decreased significantly to 27,458 gigawatt hours in 2013. In 2017 the exports to Belgium totaled 87,873 gigawatt hours. According to the source, the data consists of the physical flows of gas through the Bacton-Zeebrugge interconnector.